A Snapdragon 835 chip is nice, but the 2,730mAh battery not so much. Move over HTC U11 and OnePlus 5, there’s a new flagship in town. 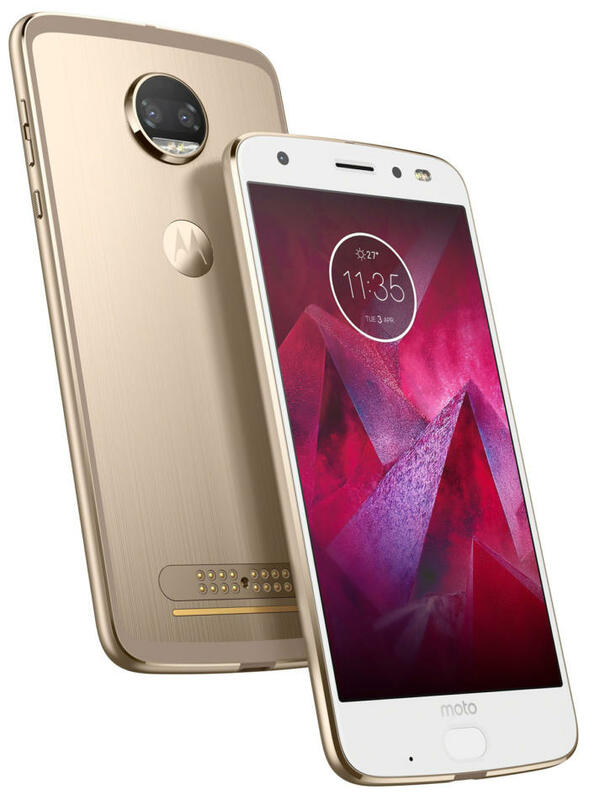 Lenovo-owned Motorola has officially unveiled the Moto Z2 Force Edition, a bumped-up version of both last year’s Z Force and the recently released Z2 Play, and it brings a whole lot of power to go with its ever-expanding library of mods. Like last year’s model, the Z2 Force Edition sports a 1440p (1440x2560) 5.5-inch Quad HD AMOLED display. It’s thinner than the previous Z Force, but otherwise, the phone sticks to a similar style as its lower-powered predecessor, with a home button/fingerprint sensor below the screen, and an all-metal back equipped with a Moto Mods connector and a circular camera bump. Why this matters: After Google killed Project Ara and LG abandoned its ill-conceived G5 “Friends” concept, it seemed like the modular phone dream was all but dead. But Moto revived it with its Z lineup last year, and now it’s going all-in on its mods. With full carrier support, a top-of-the-line processor, and an established library of mods, the Moto Z Force might just be the phone to bring modular to the masses. The outside of the Z2 Force might be ho-hum, but it’s what’s on the inside that matters. For starters, there’s a Snapdragon 835 chip, joining the Galaxy S8, HTC U11, OnePlus 5, and Sony Xperia XZ Premium as the only phones to feature the top-of-the-line processor. It also includes 4GB of RAM and 64GB of storage, with international buyers getting the option of a 6GB/128GB upgrade. All phones feature a SD card for expandable storage however. Around the back, Motorola has packed dual 12MP f/2.0 cameras with phase detection and autofocus, but no optical image stabalization. Like last year’s model, the Z2 Force gets its name from its shatterproof display, incorporating an updated version of Moto’s exclusive ShatterShield five-layer protection system. However, while you can rough it up, you can’t submerge it in water. The Z2 Force features a water-protective coating but doesn’t offer full IP67 or IP68 ingress protection. And if you were hoping Moto would bring back the headphone jack with the Z Force sequel, you’re out of luck. You’ll still need a pair of Bluetooth buds or a USB-C dongle to listen to music. The Moto Z2 Force Edition is the company’s latest modular flagship. Another area where the Moto Z2 Force falls short of its predecessor is with the battery. Where last year’s Z Force featured a massive 3,500mAh battery, the Z2 only has a 2,730mAh one. Moto promises the Z2 Force will still deliver all-day battery life, but with such a significant reduction, most people will want to carry around a TurboPower Pack mod for peace of mind. The Z2 Force works with the entire lineup of Moto Mods, including a new $300 360-degree camera attachment, and a variety of other practical add-ons. 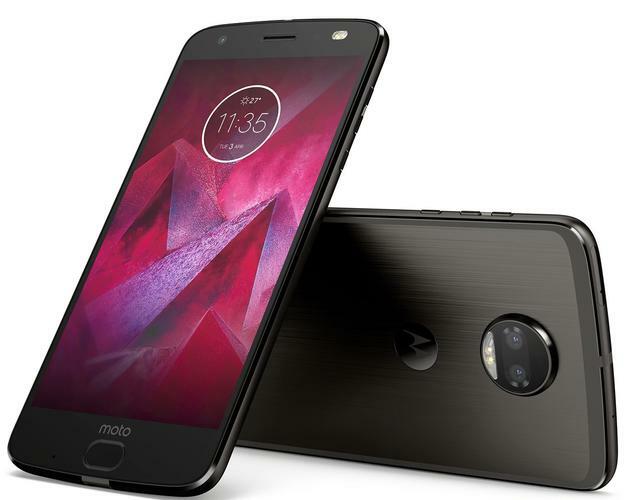 Perhaps most importantly, the Moto Z2 Force will be available on all four main carriers, eliminating the Verizon exclusivity that diminished the original Z Force’s reach. The handset is available in black and gold, and T-Mobile customers will receive their Z2 Force in an exclusive gray color. Preorders begin today at Motorola.com and most carriers ahead of the phone’s August 10 release. The unlocked phone officially costs $799 with a free Insta-Share Projector mod rebate, but pricing varies depending on your carrier.